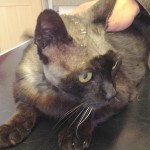 When Joe came to the surgery in December he was off colour and had a cough as well as nasal discharge. On examination he was found to have a heart murmur and a small mass on his neck, which we suspected to be a thyroid growth. Tests confirmed Joe to be hyperthyroid (ie suffering from an overactive thyroid), to have a leaky heart valve and to have elevated liver enzymes. Antibiotics and specific thyroid therapy improved Joe’s health but a few weeks later he suffered from a short period of ataxia, wobbliness and twitching. This quickly passed and further investigations revealed spondyloses of the spine, which are degenerative arthritis-like changes, and constipation. 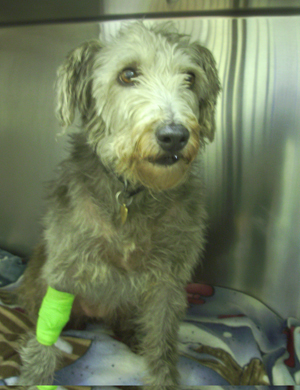 Joe was treated and initially improved, although he did suffer from snuffly respiration a month later. Although he again responded to antibiotics, follow-up blood tests showed his kidneys were starting to deteriorate. Not long afterwards Joe suffered once more from strange behaviour, wobbliness and nystagmus (flicking of the eyes from side to side). These symptoms were not explained by his overactive thyroid nor by his liver and kidney problems so he was referred to a specialist for a brain scan. The consultant neurologist discovered on MRI scans that on top of everything else poor Joe had a brain tumour. The specialist felt however that the location and extent of Joe’s tumour made him a good candidate for brain surgery. The operation was extremely successful and confirmed that Joe had developed a brain tumour called a meningioma. 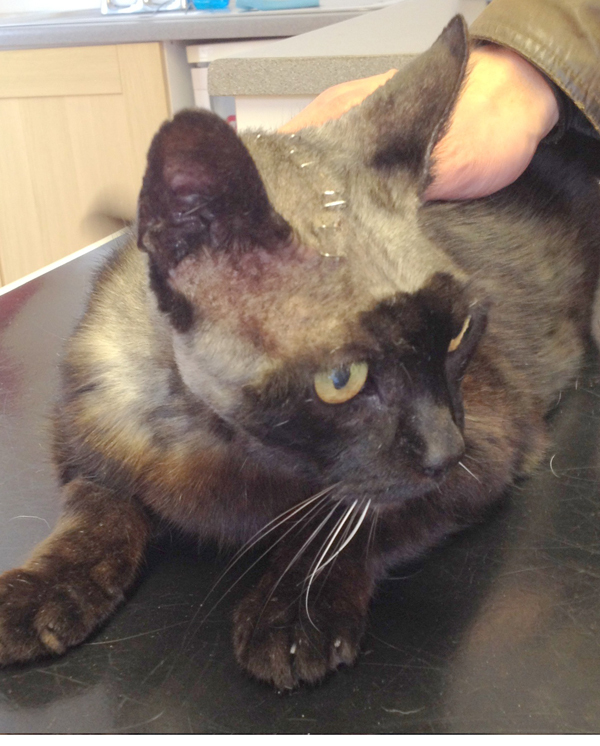 In the photograph you can see the staples in the skin on Joe’s scalp where the operation site was. Throughout everything Joe has been an absolute star and we are delighted to report that he is making excellent progress at home. 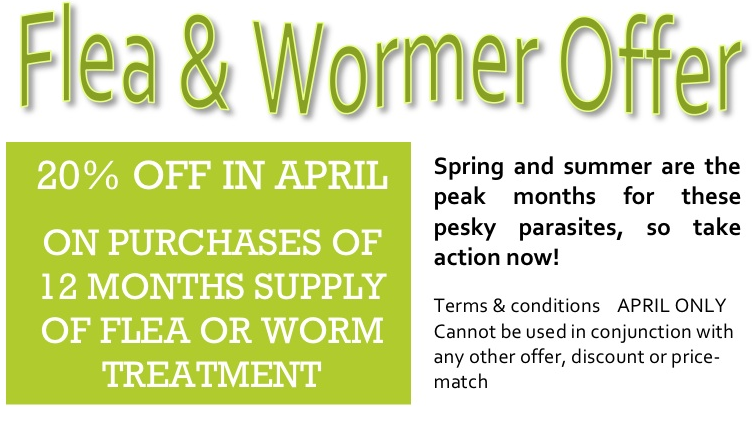 It’s lovely to be out and about in the garden in the spring, but beware of unwittingly introducing hazards for your pets as some of the plants and products we commonly use in our garden can be very toxic to animals. Cocoa shell mulch is also to be avoided if you have a dog. Many gardeners apply a thick layer of mulch to their flowerbeds in the spring and summer months. A little known, but potentially lethal hazard is the use of cocoa shell mulch. Dogs are attracted to these shells by their smell, but they contain theobromine, which is very poisonous to dogs. 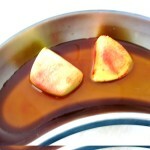 As a result, it is safer to use an alternative such as tree bark. Spring bulbs are another seasonal hazard and can be fatal if dug up and eaten by your pets. Tulips and daffodils are toxic to dogs and cats; although all parts of the plant are toxic, it is the bulbs that actually contain the most toxins. 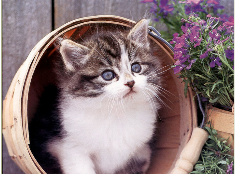 Lilies are also very toxic to cats and pose a hazard in the garden and also as cut flowers. As a general rule, when adding anything to your garden, ALWAYS read the label carefully regarding the hazards to pets. 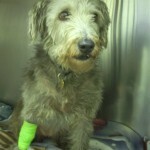 This is Darlene, a 6yr old Bedlington Terrier and Whippet cross. She came to the clinic because her owner noticed that she was urinating with increased frequency. 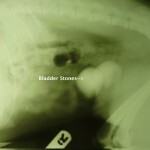 Darlene was diagnosed as having Uroliths ie bladder stones which were irritating and inflaming the bladder wall. 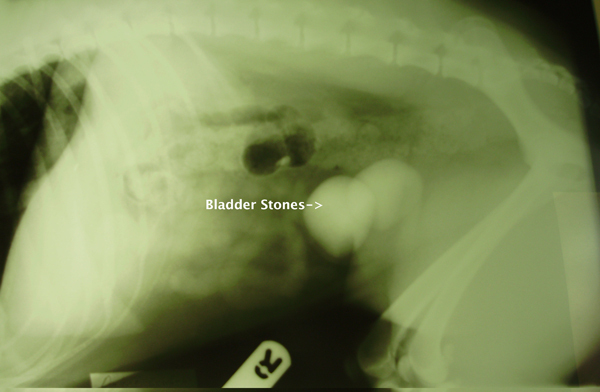 Stones are a common occurrence in animals, varying in size and numbers; they can occur secondary to infection or because of dietary influences and genetics. 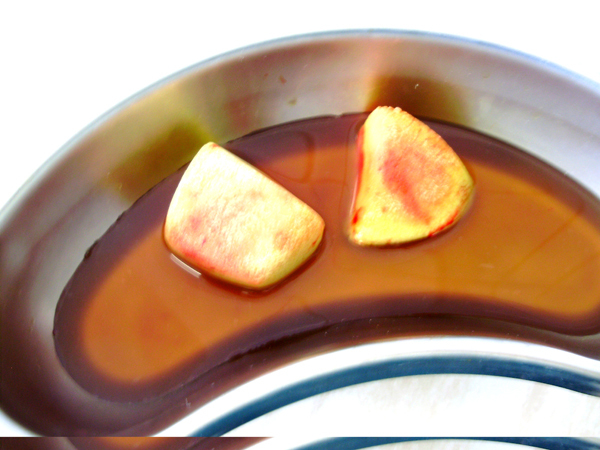 Some stones can be dissolved using dietary modification, so Darlene was put on a special Urinary diet. Unfortunately the diet failed to dissolve the stones and it was agreed that surgery was necessary. Darlene was admitted for a cystotomy to remove the stones. The operation was successful and two large stones were removed from Darlene’s bladder. Darlene recovered well from her operation and we are very pleased to say she is doing well. You can see the stones on the radiograph as well as in a kidney dish after surgery was completed.